You can't talk about Seattle parks without mentioning Capitol Hill's 48.3 acre Volunteer Park. It has an Asian Art Museum, sculptures, a dahlia garden, a conservatory, a water tower you can climb, a wading pool, tennis courts, lots of land to picnic, and plenty of squirrels (a main criteria when rating parks). There is so much to do here you could fill an entire afternoon wandering and sightseeing. 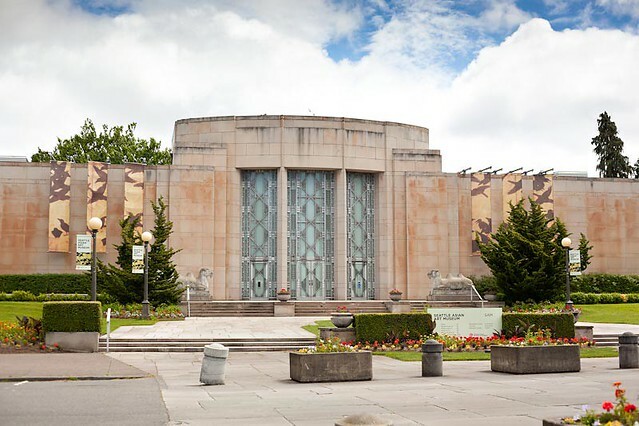 And with Volunteer Park Café only a few blocks away, your day is set. One of our personal favorites of this park is the Black Sun sculpture by Isamu Noguchi, which sits on the edge of the reservoir and offers views of the Space Needle, Elliot Bay, and the Olympic Mountains. It couldn't be better for Instagraming the city and it also reminds us of a donut, so all the important things art should do (Noguchi would probably cry if he read that, sorry Noguchi). It has been credited as the inspiration for Soundgarden's famous 1994 song Black Hole Sun, sadly Chris Cornell has not confirmed this so we aren't sure if it's true, but next time we run into him we plan to ask. Feel free to sit by the sculpture and blast the song and reminisce about how awesome the 90s were, though. We also recommend stopping in at the Conservatory ($4) and checking out the tropical plant collection. It's actually a perfect winter time activity too as they have to keep the temperature balmy to support the tropical plants. We like to go in the middle of winter and pretend we are in Costa Rica. Last stop is the Asian Art Museum. It costs $9 and the camels at the front entrance make for great photo opportunities. It is closed on Mondays and Tuesdays but opens at 10am the rest of the week. We like to go and look at the collection of Buddha sculptures, there is something so peaceful about them. The museum has been around since 1933 and is currently looking to be restored. You can learn more about that here.